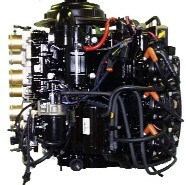 This program is for those powerheads returned by the dealers to Flagship to be remanufactured. These are powerheads that do not need to be replaced, but simply need to be remanufactured. Examples of this type of powerhead would be those that are worn (high usage), have broken rings, scuffed cylinders or simply an older powerhead the customer wants upgraded as an option to replace. Powerheads remanufactured under this program carry the full 180-Day Flagship Limited Warranty. Option 4 - Send us your powerhead less the carburetors, fuel system and ignition system (Undressed) and we will remanufacture it. 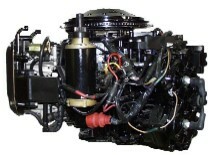 Regardless of make or model all dealer rebuilds are remanufactured using quality parts (not aftermarket). With this option you get the same results as if you purchased a powerhead from us and saved a little money. Freight is not paid by Flagship Marine in either direction.